If you're suspicious that mold spores are polluting your indoor air quality and aggravating allergies—or worse—alleviate your concerns once and for all with a viable mold test kit and these testing tips. Ever walked into a bathroom and paused to question the mustiness of the space? It’s not news that those damp quarters are prime breeding grounds for mold and mildew, fungi that helps natural elements break down so that they can biodegrade. But while their presence might be vital outdoors in your compost pile, it’s unwelcome in homes and buildings due to the damage it can cause and the health ramifications associated with its tiny spores, which can easily become airborne and inhaled as mold grows. 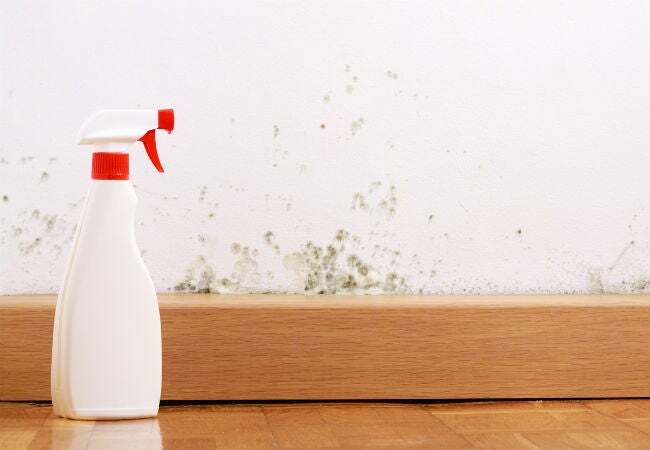 Sometimes, the mustiness is accompanied by other clues of the presence of mold: discolored spots on walls and floors, development of respiratory problems, and noticeable humidity. Other times, it’s less obvious that there’s a problem at all. If you’re concerned that the air in your home is compromised by mold, you can find some peace of mind knowing exactly how to test for mold. Lucky for you, testing can be as simple as purchasing a viable mold test kit and collecting samples in strategic locations following the instructions outlined below. In a best-case scenario, the results come back negative and you can rest easy that the smell is something temporary. In a worst-case scenario, should the test results be positive for mold spores, you can then send your results to a lab to determine what type of mold is in your home and how to effectively treat it. 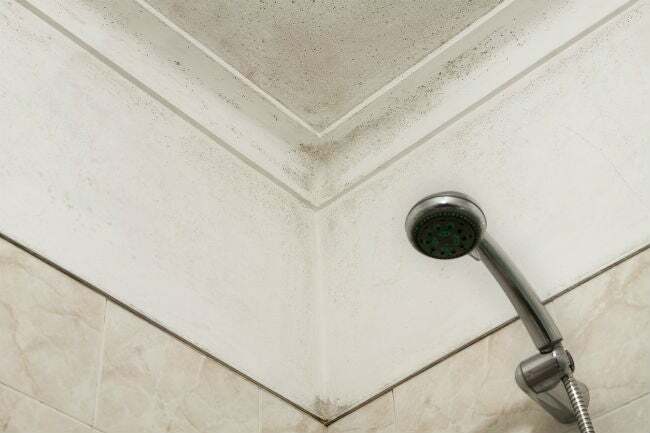 In order to grow, mold requires moisture, so mold is naturally found in areas that are damp and humid. Plumbing leaks, for example, often trigger mold growth and should be repaired as soon as one is noticed. Visible mold anywhere in the home should be removed promptly by following safe mold removal methods. But, what about that mold growth that you can’t see? 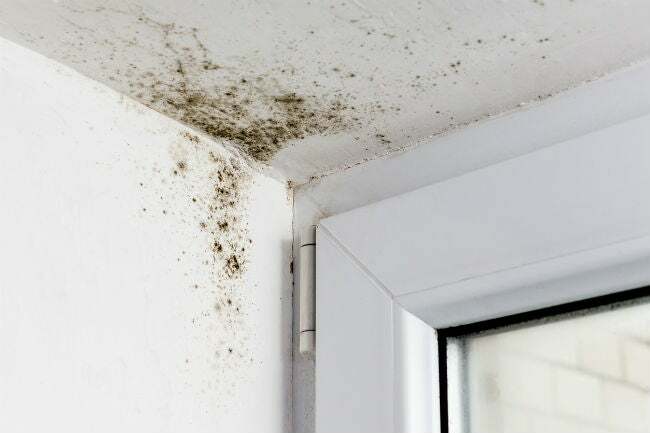 In instances of a musty smell unaccompanied by visible signs of mold (black, white, or brownish coating), it’s likely that you’ve got mold growing in a hidden spot. Mold test kits are widely available from home improvement stores and from online retailers, but not all test kits are the same. Some are designed to only determine whether mold is present on surfaces. To test for mold spores in the air you’re breathing, you’ll need to purchase a viable mold test kit, which costs $20 to $45. The entire testing process will take a few days, and if the test you perform determines that mold spores are present in the air, you can send the testing materials to a lab that will perform another test to determine what type of mold is present. Lab analysis can run an additional $40 to $70. Note: The United States Environmental Protection Agency does not endorse any brand of home mold test kit. Rather, it recommends that homeowners have their homes professionally tested if they are concerned about the presence of mold. So, use these do-it-yourself kits with a grain of salt: They can be helpful in confirming suspicions if you’re on the fence about whether or not you have a mold problem. Of course, if the symptoms are visible and dire, it’s best to call in the pros to test for mold and remove colonies from your home. Close the windows and doors in the room you’ll be testing 24 hours before performing the test. This allows potential mold spores to congregate without being disturbed by drafts. Remove the contents of the kit from its packaging. Typically, you’ll find at least a shallow plastic or glass petri dish with a lid and a label. The inside of the petri dish has been treated with a substance known as a “microbial culture” that promotes the growth of mold spores. This should help you collect an adequate sample when testing for mold in the amount of time recommended by the manufacturer. Remove the lid from the petri dish and place the dish (open end upward) on a flat surface at about table height. Leave the petri dish untouched for about 48 hours. This time may vary slightly depending on the manufacturer’s instructions. During this time, restrict traffic in the room during the test period if possible to keep from disturbing the air. Cover the doorway with a strip of painter’s tape, if you need to, as a reminder to household members and guests that this area is temporarily off limits. Place the lid back on the petri dish after the waiting time has passed, and put a layer of tape around the seam where the lid meets the dish. Either scotch tape or electric tape works well, but avoid using a tape that’s difficult to remove, such as duct tape. Write today’s date on the label enclosed in the kit and affix the label to the bottom of the petri dish. Place the taped petri dish in a dark spot, such as a dresser drawer or on a closet shelf. Check the petri dish in two days for signs of mold growth within the dish. If mold is present, it will look similar to the mold you’d find growing on old food in the fridge. • If the petri dish shows no signs of mold, return it to the dark spot and check it again daily. If your test for mold turns up nothing after a total of five days (from the date on the label), you can throw the dish in the trash—the kit did not find mold in the room. • If mold is present in the dish, you can send the petri dish to the lab recommended by the manufacturer to determine its type and course of treatment. Many kits include an envelope for mailing. You’ll also have to send the payment for the analysis. Allow three to eight weeks to receive your results. Meanwhile, you may wish to continue testing for mold throughout the house. While a variable mold test can tell you if mold spores are present in a specific room, you’ll need to use additional kits if you want to test other rooms in your house. While there are thousands of species of mold in existence, most homeowners are concerned about Stachybotrys chartarum, commonly known as “toxic mold” or “black mold.” This species of mold is actually quite rare, but it’s one of a number of molds that produces a high level of mycotoxins (dangerous mold-based chemicals) that can create a hazardous home environment. That said, any species of mold can become a health risk if it’s allowed to grow out of control. To be on the safe side, all mold growth identified by a viable mold test should be discouraged and removed quickly.